Casual elegance has a new look. The charlotte coffee series appeals to even the most discerning palettes with its versatility, high practicality, and truly individual style. The unique inverted splayed design of this beautiful tables base offers a solid foundation for the mosaic tile inspired table top. At its centre is a handy shelf, perfect for keeping everyday essentials close within reach. Featuring a classic, versatile pattern, the various colour tones of the beautiful Charlotte series will coordinate beautifully with all existing furniture and dicor. Small Space 37 inch Lift-Top Storage Coffee Table with Solid Wood Top Surface - White Within a compact space, choosing the right pieces of furniture is crucial in order to feel relaxed and comfortable. Maximize every square foot of your room with Bestar's Small Space units! Durable 3/4 inch yellow birch top surface. Thanks to the Lift-top mechanism, you can quickly and quietly adjust the top surface from standard (15 inch) to elevated (23 inch) position. Lift-top functionality allows dining and working while enjoying the comfort of your sofa. Large storage compartment the under table top to keep you organized. 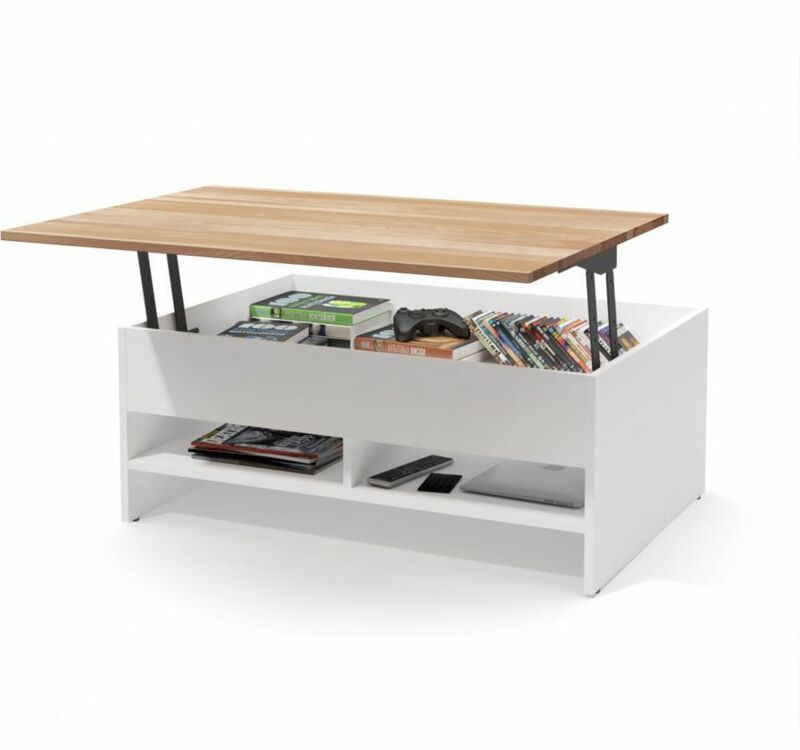 The 2 open compartments are accessible on both sides of the table. Assembly Required.